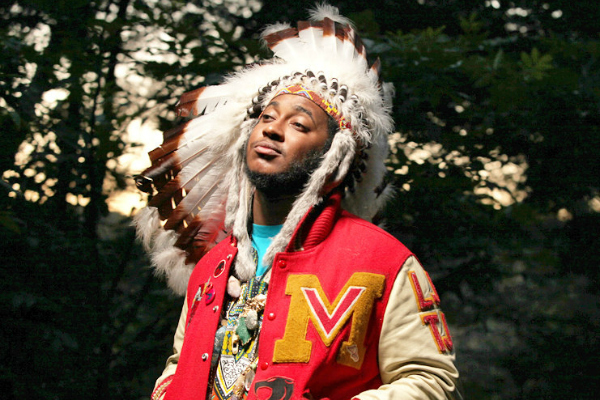 For years, Thundercat has existed under the spotlight of others. Given his distinctive personality, eccentric looks, and musical roots, the question was never if the light would shine on him, but when. His solo work of years past garnered some attention, but still fell short of the attention bizarro label mate Flying Lotus was getting with his genre-blending LP's Cosmogramma, Until The Quiet Comes, and You're Dead, all of which Thundercat was apart of. It wasn't until 2015 when Hip-Hop's latest critical darling decided to settle down in the roots of black history where Jazz, Funk, and Soul became prominent members of the genre they formed once again. Kendrick Lamar's To Pimp A Butterfly needs no introduction, but for many who gloss on by, the name's of those who helped him create such an opus may be lost. Thundercat, Kamasi Washington, and Terrace Martin were just some of the names. Likely a coincidence, the reveal of each in successive years has proven just how far TPAB's branches have grown. 2015 introduced many to Washington's Epic, a 173-minute Jazz monolith, while 2016 saw Martin's Velvet Portraits be nominated for a Grammy. Thundercat was present on both. And now, in 2017, with a mountain of coal powering the Soul train, the artist born Stephen Bruner is ready to take the wheel. However, if what he's telling us on Drunk is true, maybe we should wait till 'DUI' finishes so he can sober up. The expansive LP, which features one of the best album covers in recent memory, is centered around the concept of being inebriated. More accurately, it follows Thundercat, both mentally and physically, during a nighttime rendezvous, unearthing an unpredictable lifestyle that tiptoes the sobriety line between elation and depression. Despite coming off as unassuming and anti-ambitious in execution, Drunk runs the gamut of mood shifts, accurately representing the high's and low's of nightly booze consumption. The result can be delirious for the listener, both a pro and a con. Regardless of discretion, Thundercat adheres to this concept neurotically, finding commentary on life and death slammed right up against a fanatical desire to be a cat. Just like your neighborhood drunk riddling off endless non-sequiturs, Thundercat's topical content ranges just as sporadically, causing the LP to be, consciously, aimless. From modern societal critiques ('Bus In These Streets') to peer pressure ('Drink Dat'), fantasies over foreign lands ('Tokyo'), to racial inequality ('The Turn Down'), Drunk never lacks in lyrical uneventfulness. That entertainment's a double-edged sword though, as it's just as easy to admire Thundercat's visionary wherewithal as it is to mock his erratic incompetence. Many will find the frequent inside jokes off-putting, even considering one of Thundercat's biggest influences, George Clinton, routinely did the same thing. For me, the line falls in regards to how serious he takes himself. Satirically poking fun? Good. Teetering into sincerity? Not so good. Examples of the former range from 'Bus In These Street's' quirky commentary (reminiscent of Open Mike Eagle's work) to 'Captain Stupido's' self-depreciating banter. However, on cuts like 'A Fan's Mail (Tron Song II)' where cat noises overwhelm the senses, 'Friend Zone' where the lack of clarity causes confusion, or 'Drink Dat' where Wiz Khalifa's stoner personality is used wholeheartedly, the peculiarities become relatively annoying and excessive. The consistency of Thundercat's immature playfulness causes two issues. One, thoughtful philosophizing on tracks like 'Jethro' or 'Inferno' suffer from lessened importance, and two, the sometimes masterful production can be mitigated if moving past the lyricism is tough to overcome. In other words, it's difficult to appreciate 'Tokyo's' nimble percussion and spacious synths when talk of anime and suicide forest's consume your mind. While Thundercat's intention of encapsulating a vacuous alcoholic is clear, the execution is unavoidably misguided. What's not though is the production, excelling on almost every front. Mood shifts in sound come just as frequent as the topics themselves, and the fact they so frequently overlap only exemplifies Drunk's primary goal of disillusion. In times when production matches tone it's only seemingly by chance, which makes for a final product that's jarring, sonically, in all the right places. 'Jameel's Space Ride,' for example, borrows ideas from A Tribe Called Quest's 'A Space Program' by finding a prisoner of racial inequality hoping for an escape. And yet, the production is light, bubbly, and inspired by simple 80's Synthpop. 'A Fan's Mail' does the opposite, admiring the life of a cat whilst grooves similar to Kendrick Lamar's 'These Walls' plays solemnly on in the background. There's also a few exceptional moments where tone matches topic, like 'Walk On By,' which features Lamar rhyming poetically over an aquatic bass, or 'Inferno,' where plunging strings and Captain Murphy-like vocals give off a descent-into-Hell vibe. Even 'Captain Stupido' matches the idiotic rambling's of its protagonist by wrapping itself in almost every Flying Lotus idiom, with the producer's hands all over the track. There's no denying Drunk's a rather frustrating listen. It's surprisingly not because of haphazard execution, but rather the lead artist's insistence upon it. Drunk is so attached to its own inebriation that there's no way someone could like every aspect of it. One moment it's making wisecracks, the next it's trying to start a bar brawl. 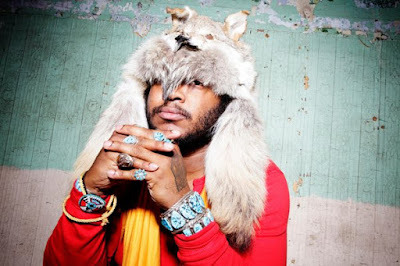 However, there's no denying the message Thundercat brings up by doing an album-wide satirical piece. Both intro, 'Rabbit Ho,' and outro, 'Dui,' flaunt the same production. More than just connecting Drunk musically, Thundercat cleverly posits the pitfalls of alcoholism by personifying an addict and their belief that there's "always tomorrow" with "one more glass to go," only to continue the vicious cycle and "go hard, get drunk, and travel down a rabbit hole" when that tomorrow arrives. It's a sad admittance, and one that really puts into perspective the constant opinions, aspirations, and contemplations throughout the record. That alone makes Drunk worthwhile. It doesn't ignore the album's inherent flaws, just like alcoholism doesn't defy illegal behavior. The clumsy lyrics, taxing falsetto, forgettable interludes, and lack of clear standouts cause Drunk to effectively stumble over some of the ground it built. 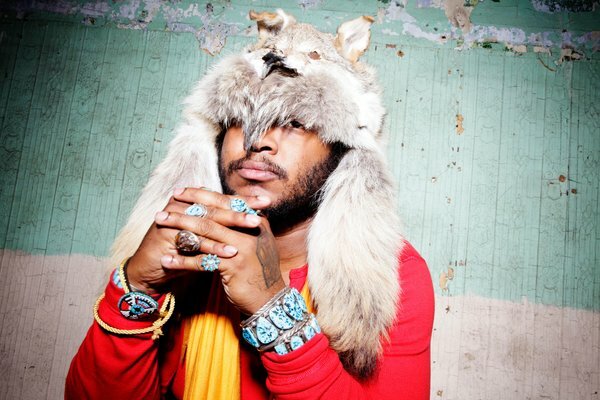 However, Thundercat's musical expertise warrants acclaim off sheer talent and a unique concept alone. Trying not to be a nuisance, but I respect you as a critic and was wondering if you checked out Sampha's Process would love to hear your thoughts! Checked it out! Usually for projects I don't review I take my time listening to them, so I've gone through it three times so far. Won't say I really, really like it but I can absolutely understand where the praise is coming from. It's a more than solid album!